As one of the most common types of cancer, skin cancer is the subject matter of constant research and study. This is important not only for early detection and timely and effective treatment of the disease but also to understand the risk factors for skin cancer to try and prevent the disease from occurring. Skin cancer is more likely among women who smoke, found a recent study. This adds to the list of cancers that we know are influenced by smoking. 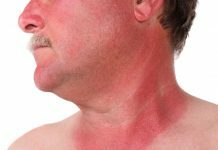 The study also examined why women have higher incidence of skin cancer even when sun exposure (which is the main risk factor) is common to both men and women. The researchers at Moffitt Cancer Center department of cancer epidemiology in Tampa, Florida, it was the female hormone estrogen that was seen to play a role here. 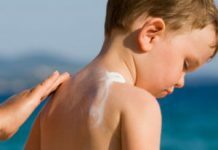 A study conducted some years back found a clear connection between sun exposure and skin cancer development. It was found that sun exposure was the main reason for skin cancer. The study also found that early detection was the key to controlling the cancer and curing the person of their disease. 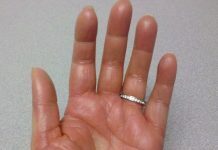 If the skin cancer is detected in time, the tumor has not had a chance to progress and become invasive or to spread. It was observed that melanoma (the most dangerous form of skin cancer) is most destructive when the tumor deepened and invaded healthy tissue. Sun exposure is clearly a risk factor, so many make the mistake of thinking that using a tanning bed is somehow better and less risky. However, another recent study showed that this is not so. According to the skin cancer website, whether you get tan on the beach or inside a salon, the risk of skin cancer is the same. So whether you’re on tanning bed indoors or you’re on a towel on a beach, you subject your skin to harmful UV radiation and directly increase your chances of getting skin cancer. There are also other types of damage to the skin: premature aging, wrinkles, leathery skin and brown spots! A recent study has also found that use of sunless tanning lotions is related to reduced skin cancer risk. The study found that those who used sunless tanning lotions for a ‘fake tan’; what is also known as an air brush tan, spent less time on the beach or the tanning bed and reduced their radiation exposure and consequently their skin cancer risk. Intentional sun exposure was seen to be reduced among the fake tanners. While it would be best for each of us to accept and enjoy our natural skin color, this is unfortunately not the case, and most of us spend our lives wishing we were some other color. So while tanning lotions are not actually desirable, they are certainly a safe option and far less of a potential problem than UV exposure.